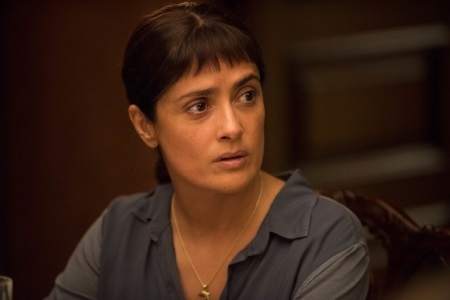 Salma Hayek faces John Lithgow. The earhly, spiritual hired help vs. the crass, lion-hunting billionaire. Neunced and subtle one set play in a minor key. Shot before the election. Some discussion on the blue.